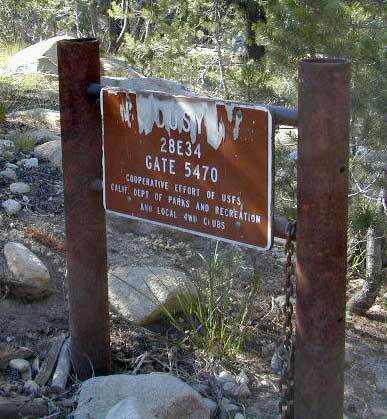 If you are a backpacker wanting to easily access the John Muir Wilderness, the paved parking area of Maxson is the trail head for you. The Courtright Reservoir is located at over 8000′ elevation, w/ granite domes & alpine scenery all around. This place is way back behind Dinkey Creek, past the McKinley Sequoia Grove inside a deep granite gorge. The Sierra National Forest is the region, which is south of Yosemite National Park. The paved route is a long one from Shaver Lake, via Dinkey Creek Road, but the rewards are great. An all day adventure and a side trip not to be rushed. Warning: You could spend a whole day just driving & sightseeing in this area! Meadows, wildflowers, dirt roads, trails, Big Creek, McKinley Grove of Sequoias, Wishon Reservoir, the list goes on. All the way out to the Wilderness boundary, Courtright Lake is not a quick or easy drive. The hikers trailhead is located at the end of Courtright Rd. Cross over the big dam to the right & drive approx one mile; look for signs on the right side of the road. There are minimal areas to set camp at this granite , windswept face. Good luck getting a tent stake in the ground. Rock rules here. There are a few developed Campgrounds on the opposite side of the lake which may be a better choice for car camping. This Maxson parking lot is primarily for backpackers. Dusy Ershim 4×4 route start right here too – on the opposite side of the road. 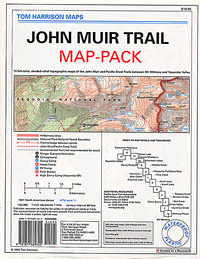 It’s second only to the Rubicon Trail, as far as High Sierra rocks & terrain. Rock Climbers also love this spot for the granite domes & walls. Hiking all the way around this lake is a full day trip, with lunch and sightseeing stops. A pleasure not to be rushed.